Authorized Richway Fuji Bio Inc.
over one and a half million sold to satisfied customers worldwide. You can enjoy the soothing 3-part synergy of quantum energetics from Far Infrared Rays deep penetrating heat, Negative Ion therapy, and healing properties of Amethyst at home. "...Hey Steve, I am so in love with the bio-mat because it gives my whole body a source of energized heat, that is much needed after coming down from cold, snowy mountain tops. I feel like my muscles relax so quickly that I wake up in the morning feeling rejuvenated, recharged, and re-focused for a day of training, competing, or traveling......"
Spring Sale: It is time for our Spring Sale! Now until April 27th, 2019, big discounts on the following items: Biomat Aroma Stand, Pro size Biomat Black Canvas Travel case, Queen size Cotton Pad, Pro size Biomat Waterproof Cover, Rejuvena Premium, Alkalife 3000sl Water Filter. Buy One Alpha Max Serum 3.5 or Mega Bio Cleanse and Get One Free. NEW Product: The BioAcoustic Mat™ uses three powerful speakers to send vibrations deep into your body and comes with 12 soundtracks composed by vibroacoustic expert, Dr. Lee R. Bartel. 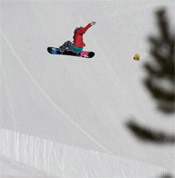 Combine the BioAcoustic Mat™ and the Biomat® to maximize your experience! Using the two together will give you infrared heat, negative ions, and vibroacoustic sound. The BioAcoustic Mat's™ design allows your Biomat® to fit comfortably on top. The BioAcoustic Mat™ Professional is a perfect fit for the Biomat® Professional, and make sure to pick up a BioAcoustic Mat™ Single if you own a Biomat® Single. The Richway Fuji Bio Inc. Amethyst Bio-Mat is a high-tech Negative Ion and Infrared Ray treatment system that emits many negative Ions and Far Infrared Rays, which may contribute to a healthy life, a product of modern technology with proven efficacy developed by a highly skilled group of scientists, medical professionals and engineers. Although specifically designed for clinical use, it can function in the home or care facility. The Richway Fuji Bio Inc. Bio-Mat went through many different tests including Electro Magnetic field, and emission power tests. The Richway Fuji Bio Inc. Bio-Mat is U.S F.D.A. Approved Class II Medical Device, Japan FDA Medical Device, Korea FDA Medical Device, CE, CVC, PSE, KMFDS, EAC, GMP, TUV, ISO 13485, ISO 9001, P.L.I. (F-2016-0219060). We hope that you will find all our products to be of exceptional quality, and you receive many health benefits as a result of using them. Richway and Fuji Bio Inc. continue to seek enhancing and innovative ways that allow you to live and look both healthy and happy. Richway Fuji Bio Inc. Bio-Mat creates all of our products with cutting edge technology, engineering and methodology to meet your expectations of quality, performance and professional design. Our most recent creation will bring you all of the benefits of the Bio-mat on a soft and luxurious bedding product. This product is the Orgone Bio-mat. We believe the Orgone Bio-mat will change the lives of many - one night at a time. The gentle warmth of your Amethyst Bio-Mat can give you an overall massaging effect, soothing jangled nerves and knotted muscles. Get a $100 Professional discount with copy of health practitioners license/certificate. Get a $100 Military Veterans and First Responders discount with copy of qualifying documentation. Richway has partnered with Cellreon, makers of the finest Korean luxury skincare and beauty products to create Alpha Max Serum 3.5. An intensive serum to combat dry skin, wrinkles, elasticity, loss of volume, and reduce the appearance of age spots and uneven skin tone due to aging. Download for free "The Fourth Treatment for Medical Refugees" book. Written by Nobuhiro Yoshimizu M.D. Ph. D, Nakamachi Garden Clinic Director, this book discusses Thermo-therapy, the fourth treatment option. Get the pdf here free. Press Release: October 7, 1991. The 1991 Nobel Prize in Physiology or Medicine. The Nobel Assembly at the Karolinska Institute. Are there any contraindications for using the bio-mat? It is recommended to consult with your physician before the use of the Bio-mat. Remember to stay hydrated while using the Bio-mat. The Richway Fuji Bio Inc. Amethyst Bio-Mat is a unique innovation in bio technology containing 17 different layers and is available in 5 different sizes. EMF (Electromagnetic Fields) is a term used to describe the invisible electric and magnetic fields radiating from all electrical appliances in the home, office, factory, in vehicles, and train lines. All Bio-mat products have been tested by TUV SUD for EMF (Electromagnetic Fields) and were found to be in compliance with IEC 62233 (ed. 1) and EN 62233:2008. Unlike an electric blanket, the bio-mat pad does not get hot when it is on. An electric blanket or electric heating pad uses electric current with wires or coils which run through it which is not healthy. However, when you lay down on the Richway Amethyst Bio-Mat, it warms the inside of your body, and the part of the pad making contact with your skin gets warm. When any part of the pad gets higher than the selected temperature, the sheet current is cut off by thermal sensors distributed throughout the Bio-Mat, and the Negative Ions turn on, the temperature light goes off and lights at the bottom tell you it is creating the Negative Ions. The Amethyst Bio-Mat is a power heated mattress pad. It comes with an external control box where the AC is converted to DC, and you can adjust the desired temperature of the pad. The Amethyst Bio-Mat controller has EMI (Electromagnetic Interception) which blocks the harmful EMF (Electromagnetic Frequency), as well as a Timer so you can set it to turn off in 2, 4, 8, or 12 hours settings. I love it, I am sleeping so much better and feel so wonderful and peaceful after I get off the mat. I have not got on the Getting Started info, I will. This is an incredible product. Relax with the soothing Infrared Heat Rays and Negative Ion therapy with natural calming from Amethyst crystals recommended by Health Care professionals in the privacy of your home. The quantum energetics can be cumulative and profound and benefit the body, mind and spirit. *Legal Disclaimer. Information provided is for informational purposes only and is not a substitute for professional medical advice. 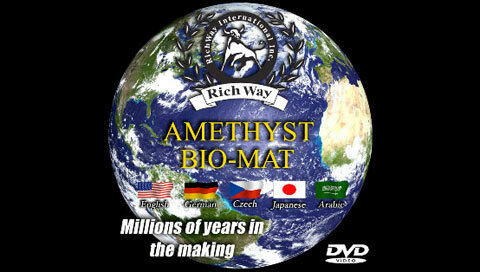 The Richway Fuji Bio Inc. Amethyst Bio-Mat is not a device to cure cancer or any other disease. The Richway Fuji Bio Inc. Amethyst Bio-Mat also does not make any claim for any medical benefits and does not make any claim to cure any disease or medical condition. The Richway Fuji Bio Inc. Amethyst Bio-Mat does not make any claim for any diagnosis or treatment and only claims the statements in the Medical Device of the FDA's regulation. Specific medical advice should be obtained from a licensed health care practitioner. Any information and personal testimonies about the Biomat does not reflect the Richway Fuji Bio Inc. Amethyst Bio-Mat's claim. These claims/statements have not been tested and/or proven with the Richway Fuji Bio Inc. Amethyst Bio-Mat. Bibliography: Dr. Sang Whang 'Reverse Aging', MD., Ted Rozema 'Chelaton Therapy', and Dr. Fred Soyka with Alan Edmonds 'The Ion Effect'. Information on this site has been complied by presenting material (taken out of context) from the research study of the records of doctors: Dr. Hatashita Toshiuki, Dr. Takada Maku, Dr. Hirohuchi Mitchio, and Dr. Ota Nobuoi of Toho University Hospital Japan. These research records were developed over a 40 year period of time.